Home » Featured on Slammed Society! 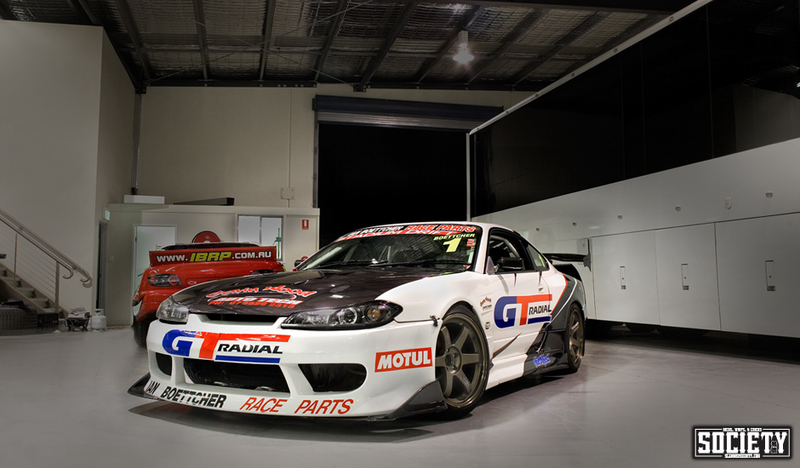 Last Thursday night, I packed the S15 into the shipping container for the trip to Singapore for Formula Drift. Scott Nelson came out to to the workshop to get a few shots for American website Fatlace. You can check out the feature here, but below are some of the photos from the shoot!